Toshiba L50 15.6" Best Value Purple Laptop Intel Dual Core N2830 8GB RAM 1TB HDD. 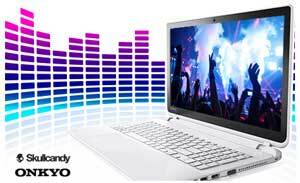 This fully feature loaded laptop is capable of satisfying all kinds of users. With a choice of AMD or Intel processors and wide range of connectivity options, this laptop gives you an experience youve always wanted. Plus its stylish design allows you to work smart and look smart. 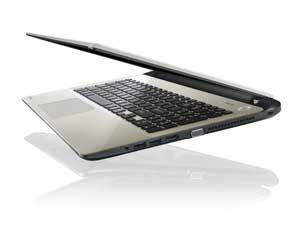 Toshiba L30 is slim in size but big on features. 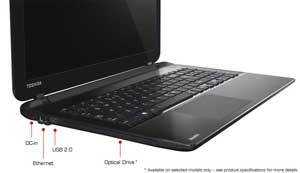 Being just 23 mm thin it packs al the modern features and latest processor. Its stylish finishes and elegant design gives it a modern look whereas frameless tiled keyboard also adds in the beauty. Enjoy deep and rich audio with its Skullcandy-tuned speakers combined with DTS Sound. The integrated Skullcandy-tuned stereo speakers are fixed just below the screen so you can enjoy your media at its best. DTS Sound includes a sound enrichment suite that offers you high quality audio by enhancing bass and giving more definition to it. By delivering high-frequency definition it ensures a premium listening experience from both, headphones and integrated speakers. Coming with an integrated HDMI port, it allows you to expand your viewing area or watch your media in HD quality. With HDMI you can easily connect your laptop to devices like projectors and large screen TVs. While using HDMI both audio and video signals are transmitted through single cable, minimizing the need of multiple wires. L50 offers you up to 1 TB of storage capacity so you get enough room to store all your favourite games and media. Equipped with powerful processor it gives you a smooth multitasking experience. Optimized to work with Windows 8.1 it makes you enter a new world of productivity. Put all your important things on Start screen so you can easily access them at the time of need. Now you can easily share your content between various devices like projectors and TVs with Wireless display technology. Make your data more portable with USB 3.0 which gives you ten times faster data transfer speed than USB 2.0. With L50 you dont have to carry extra charges or adapters. It features Sleep N Charge USB port which allows you to charge your mobile devices like cellphones and MP3 players even when the laptop if turned off. 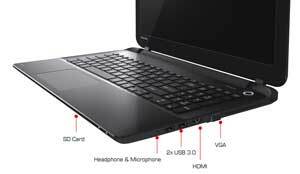 L50 comes featuring Bluetooth 4.0 which makes your data transfer much easier. With Bluetooth 4.0 you can share your data wirelessly with other devices. Plus it also enables you to connect peripheral devices like keyboards, mice, speakers, etc.